The David model android we met in Prometheus won't be the only artificial person showing up in Alien: Covenant. 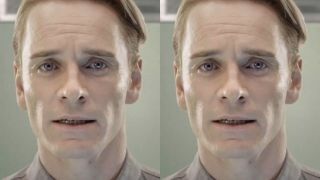 Michael Fassbender has revealed that he'll be playing the role of a second synthetic, named Walter, who serves aboard the USCSS Covenant. "I am allowed to say I am playing two robots - Walter and David," Fassbender told the Irish Times newspaper (via @rorysbooks). It's not clear whether Walter is another David model who has been renamed or if he's considered an entirely separate type of Weyland-Utani creation, albeit with the same face as his counterpart. These aren't just any old names, mind you. David Giler and Walter Hill served as co-producers on the original Alien, and were also involved in a bit of a kerfuffle with script writer Dan O'Bannon. The pair argued that they completely rewrote O'Bannon's script, while O'Bannon insisted they barely changed anything. O'Bannon ended up getting the screenplay credit, while Giler and Hill went on to produce more films in the Alien universe. Prometheus was the first project Giler, Hill, and director Ridley Scott worked on together since the 1979 film that started it all, and the trio are back for Alien: Covenant. Directed by Ridley Scott and starring Katherine Waterston, Michael Fassbender, Noomi Rapace, Demian Bichir, Carmen Ejogo, Jussie Smollett, Amy Seimetz, Callie Hernandez and Danny McBride, Alien: Covenant will open in the US and UK on August 4, 2017.